To resolve this, the Hyper-V node which was currently the owner of the failed VM’s had to be rebooted, this required live migrating several virtual servers before it could be done. Once rebooted, the VM’s were available to be booted on any node within the cluster. 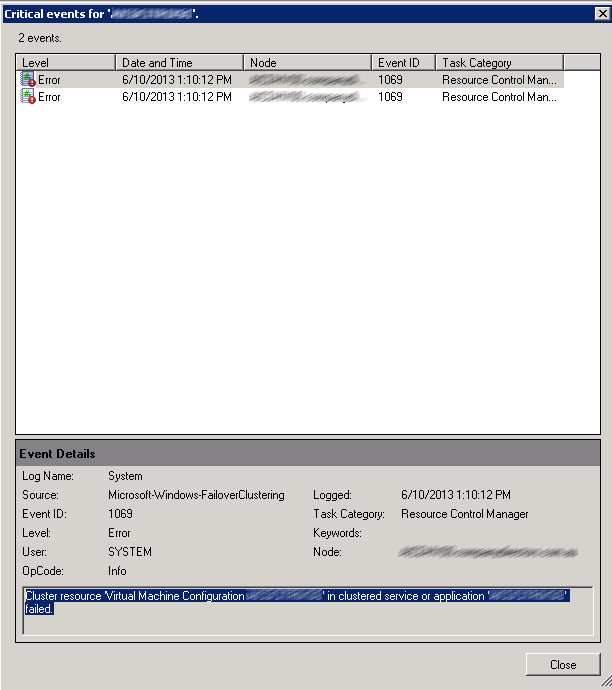 It appears that the node was preventing the VM from booting, perhaps it maintained a lock on the config/VHD files?